Net Positive follows the inner thoughts and trajectory of work-in-progress, 20-something Blake Emal. On this show, you'll get a mix of documentation and interviews. Look, I have big dreams just like the next gal or guy. The only difference? I'm not going to pretend that I'm a millionaire with all the answers (because I'm not and I don't). I want to document the EXPERIENCE of growing in my career and skillset, rather than acting like something I'm not. This podcast goes out to all the solopreneurs, entrepreneurs, and wantrepreneurs that keep it 100. No fluff, just cool stuff. Have you long contemplated the possibility of starting your own company, but don't know where to start? Cory Warfield can relate to that. In fact, there was a point where Cory didn't even know he wanted to start a business. He found himself without a home and without any resources, and had to decide what he was going to make of himself. In this interview, Cory provides relatable and actionable advice for starting a company and growing it through social media. Are you stuck in a career that doesn't fulfill you? Are you silently begging for a new opportunity to present itself so you can move on? Many people across the world are faced with this dilemma, but they have no idea how to escape it. Dr. Natalia Wiechowski was one of them. She gained an impressive education, and began an impressive career. And yet, it didn't speak to what she truly wanted to accomplish with her life. She determined that it was time to make a change. After a 9-month sabbatical and intense thought, Natalia moved on to the next chapter of her life. She is now an award-winning personal branding strategist, Instagram influencer, and LinkedIn expert. In this interview, she gives highly actionable tips and methods for getting to a place in your life that you'll absolutely love. There are a lot of great things to do on Instagram, and a whole lot more DO NOTS. Here is an episode for you Insta-lovers out there. This is based off of my own experiments on the platform. Is Social Media Bad or Good? Have you ever truly wondered if social media is bad or good? There are so many factors at play for this question, but I attempt to do my best job at dissecting the good and the bad aspects of social media in this video. There are no perfect answers here, but I believe that ultimately social media platforms are good when used genuinely. You'll learn more about that explanation in the video, as well as why some people think social media is ruining our lives! Make sure to SUBSCRIBE and hit the BELL so you never miss my videos again! Want to know how to be creative and interesting on social media? One of the most daunting tasks for content creators is knowing what content to post. And even then, actually executing and making a creative video or post is extremely difficult. In this episode, I share my own tips that have worked exceptionally well for my social media accounts. Make sure to subscribe and comment letting me know what your social media questions are. I would love to be a resource for you! Ever had a great idea for an Instagram account or YouTube channel? How do you take it from just an idea to a successful reality? What on earth is a keyword? And how am I supposed to choose good ones if I'm a total noob to SEO? In this episode, I give you a method for finding and selecting keywords that will crush it online, without having to learn to use any new online tools. Remember to subscribe to the show on iTunes or wherever you get your podcasts. Want to start crushing it on LinkedIn? Take some tips from one of the best content creators on the professional network, Jacob Lebovits. IGTV is Instagram's brand new app and integration that allows you to upload long-form video content! This will answer questions, such as: - What is IGTV? - How Does it Work? - Why Is It Different than Instagram? - And more will be explained! This is huge news for all creators, whether on Instagram vs YouTube vs Snapchat, or elsewhere. IGTV has the potential to change the way personal video is consumed. You can create a one hour Instagram video! This is an Instagram update you won't want to miss. Directly from the Instagram Blog: "IGTV is different in a few ways. First, it’s built for how you actually use your phone, so videos are full screen and vertical. Also, unlike on Instagram, videos aren’t limited to one minute. Instead, each video can be up to an hour long." 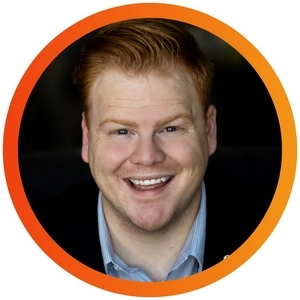 Add me on IGTV at instagram.com/blakebemal or by following me on Instagram @blakebemal ! On today's episode, I speak with Carol J. Dunlop, author of "UN-Market Your Business: 10 Ways for Savvy Entrepreneurs to Stand Out, Stop Struggling, and Start Profiting". We discuss the ins and outs of what makes a great website, as well as how to get more customers from your online presence. This is a great show for small business owners who are looking for tips from an industry pro. Carol has been in web design and marketing for more than 20 years, and has seen it all. Here is the website for the freebie: http://csicorporation.com/7-strategies/ Without further ado, please enjoy this interview with Carol J Dunlop. If you have traffic coming in to your website, but the sales just aren't reflecting any success, you need to try out some CRO tips. Lucky for you, I have a bunch right here in this episode. CRO (Conversion Rate Optimization) is highly important, and often overlooked. It basically deals with all elements of your website that are trying to get users to buy your product or service. How well is your website set up to succeed? There is so much opportunity out there for you to take your idea from an interest to a money-making machine. Here are my expert tips based on my own personal experience. Get started on your journey today! What is Email Marketing and How Do I Get Started? Do you use email marketing for your business? Well if you don't, or need a primer, take a listen here. How Can Social Media Marketing Really Help My Business? What is SMM? How can I make it work for my business or brand? What platform(s) should I use and which should I avoid? Get the answers to these questions and more, right here. How can I learn how to make money in online marketing? Want to learn how to make money in online marketing? This episode explains the tools and resources you need to succeed, as well as winning marketing methodologies that will drive success to your online presence. Need to start blogging? I have some tips for you based off 5 years of experience. Looking for quick wins and the most important things you could start out doing in digital marketing? I’ve got you covered. 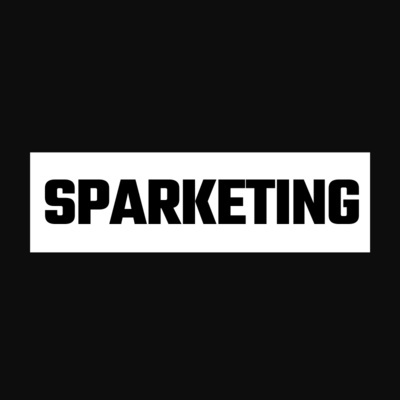 Intro to Sparketing: Learn Digital Marketing for Free! The #1 question I get from people considering a switch to freelance work or starting their own business is: What is it like working from home? If you are considering a similar change in your life, you may be wondering: - Is working from home easier or harder? - Won't I get distracted all the time? - How do I remain focused on my work? - How do I set up a productive home office? I will answer all of these questions and more right here, right now. You may have noticed your competitors beating you at your own game. The question must then be asked: are you playing the wrong game? It took me 25 years to realize that I thoroughly enjoyed sitting in an empty room, talking to myself. No, I’m not insane. I’m the next closest thing: an avid podcaster. I wish it hadn’t taken me so long to find the right medium for capturing my voice and telling the stories I actually care about telling. I know that you might be thinking podcasts are sort of boring. You are dead wrong. The word "niche" in French means to make a nest. This is what niches should be for our business: a safe zone carefully constructed for us from which we never deviate. Niching down is the single most effective strategy for increasing sales and improving morale in your business. Faith is basically my new hero. She has been through so much, but listen to the power and poise with which she speaks. Trials do not need to define us in any way other than by showing our strength to overcome. What makes your heart sing? How can you be or become a better self-starter? Hint: You are already doing a great job, not just tweak it. Your website will thank you later. Your business cannot succeed without it. Take your competitive advantage and run with it. What is SEO? What are agencies not telling you about it? I will give you a couple of actionable tips to avoid the agency. What Are the Different Categories of Digital Marketing? Let's build on our foundations and learn about search engines. Before you learn the deep details of digital marketing, you need a base upon which to build. Let's start there. Which one would you pick and why? Keep in mind, you have to scrap the rest.